Ninety-two aspirants have signified their intention to run for 23 offices in the Saturday’s national convention of the Peoples Democratic Party. Some of the offices to be contested are national chairman, deputy national chairman (South), deputy national chairman (North), secretary, deputy national secretary, national legal adviser, deputy national legal adviser, national organizing secretary, national youth leader, and national publicity secretary. A list of the aspirants obtained by one of our correspondents in Abuja on Thursday night showed that nine of the aspirants were running for the office of the national chairman. The aspirants are Uche Secondus, Gbenga Daniel, Jimi Agbaje, Rashidi Ladoja, Taoheed Adedoja, Tunde Adeniran, Olabode George, Raymond Dokpesi and Aderemi Olusegun. All the chairmanship aspirants had been screened by a screening panel headed by a former governorship candidate of the party in Edo State, Mr. Osagie Ize-Iyamu. The screening took place at the Presidential Campaign office of the party, popularly known as Legacy Building, which is located at Maitama District in Abuja. Seven out of the nine aspirants are from the South-West. Secondus and Dokpesi are from the South-South. There were surprises on the list of those competing for the position of Deputy National Chairman (South), as some names from the South-West featured prominently on the list. They are a former Deputy Governor of Oyo State, Alhaji Hazeem Gbolarumi, and a former Minister of Solid Minerals, Chief Sarafa Isola. Also in the race for the office of the deputy national chairman are Yemi Akinwonmi, Adisa Oladapo and Sterling Ellis. Six candidates are vying for the position of the deputy national chairman (North). They are a former Minister of Women Affairs, Hajia Inna Ciroma; Alhaji Musa Usman, Nuhu Poloma, Senator Babayo Garmawa, Bala Ilela and Abdulmalik Mahmud. Aspirants for the position of NPS are a former Minister of National Planning, Prof. Abubakar Suleiman; Faruk Adejoh-Audu, Mohammed Usman, Kola Ologbodiyan and Ben Duntoye. Only three people are however vying for the position of National Organising Secretary. They are Emeka Donald, Godwin Duru and Austin Akobundu. Meanwhile, 11 governors elected on the platform of the party are said to be angry with the reported move of a former military dictator, Gen. Ibrahim Babangida, to impose his front as the chairman of the party. Babangida, who is being accused of contributing nothing to the party when it was in crisis, is alleged to be attempting to impose a candidate on the party as its national chairman. A governor, who spoke on condition of anonymity, said rather than help in building the party, Babangida had been holding clandestine meetings aimed at disorganising the party. The source said, “He wants to impose someone on the party because he has a candidate for the presidential slot of the party in 2019. We won’t agree to that. Also, aggrieved members of the party from Anambra State besieged the party’s secretariat in Abuja on Thursday protesting alleged acts of irregularities. A former National Publicity Secretary of the party, Chief Olisa Metuh, who arrived at the party’s national secretariat with some PDP stakeholders in Anambra State, alleged that the list of delegates, sent from the state, had been fraudulently altered. 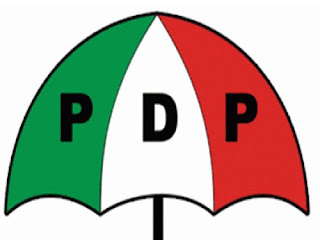 They accused a national officer of the party of being the brains behind the action and specifically urged the national leadership of the PDP to be wary of the said fake list by rejecting it. The stakeholders made their position known in a communique at the end of a meeting on Wednesday night in Abuja, which they submitted to the Chairman of the PDP National Caretaker Committee, Senator Ahmed Makarfi. Signatories to the communique include Metuh, Chris Ubah and Okey Ezenwa. Another group of protesters equally submitted a petition to the national caretaker committee asking it to disqualify one of the aspirants for the position of the NOS. The petition, which was signed by Onyebuchi Nwosu, alleged that the aspirant had engaged in acts of misappropriation and misconduct in running the party affairs in the past. Meanwhile, at a press briefing in Abuja, Adeniran declared that he was satisfied with responses to his petitions ahead of the convention, adding that he was ready for the convention. Speaking through the director-general of his campaign organisation, Shehu Gabam, Adeniran said the governors elected on the platform of the party had agreed that the election would be transparent. “We don’t have much to complain about. Most issues have been taken care of. We raised issues on the chairmanship of the electoral committee and the party responded. We now want to allow everything to lie,” he said. Ahead of Saturday’s national convention of the Peoples Democratic Party, the Senator representing Ogun East Senatorial District in the National Assembly, Buruji Kashamu, has called on delegates, leaders and stakeholders of the party not to elect any aspirants undergoing corruption trial. He said the delegates should discard anyone being tried for corruption by the Economic and Financial Crimes Commission, stressing that the anti-corruption agency was also planning to re-arrest some aspirants accused of corruption. In a statement in Abuja on Thursday, Kashamu said, “While it is true that an accused person is presumed innocent until proven guilty, our great party cannot afford to close its eyes to this potential threat. “It is a no-brainer that if a national chairman with a corruption case is elected, the party will literally be put on trial with him. Kashamu urged the delegates and stakeholders, especially those from the South-East, to support the quest of the South-West to produce the national chairman in the interest of equity and justice. While calling on the South-East to learn from the Northern Elders Forum in supporting the South-West in its aspiration, Kashamu said, “Our brothers and sisters from the South-East need to be categorical now in support of the South-West on the ongoing national chairmanship tussle between the South-West and the South-South. ”The implication of this avoidable tussle is to make uncertain the settled South-East vice-presidential quest in 2019. If the South-East expectedly takes a principled stance in support of the South-West, naturally as a reliable race in adhering to agreements, the Yoruba people will reciprocate without any prompting. Although the lawmaker acknowledged the right of others to seek election, he was of the view that it should not be done at the expense of established norms and agreements. “It was because of this that the other positions zoned to the South-West are innocuous deputies to substantive offices except the National Treasurer. A former President of the Senate, Senator David Mark, has told delegates to the Saturday’s PDP elective national convention to allow the will of the people to prevail and restore the dignity of the party. Mark, in a message to the delegates, urged them to shun imposition of candidates and impunity, which he said, ruined the chances of the party in the previous elections. Ahead of the PDP national convention on Saturday, former Vice-President Atiku Abubakar visited Minna, the Niger State capital, on Thursday. Atiku, who recently resigned his membership of the All Progressives Congress before returning to the PDP on Sunday, arrived in Minna in his private aircraft marked T 7 AAA at about 12.25pm. He was received at the Minna International Airport by the Niger State Deputy Governor, Ahmed Ketso, and a team of PDP leaders in the state. Some of the PDP leaders, who came to welcome Atiku were the immediate past governor, Babangida Aliyu; state chairman of the PDP, Tanko Beji; his deputy, Aminu Yussuf; Senator Shem Zagbayi and the State Secretary of the party, Umar Santali. The former vice-president drove to the Minna residence of a former military dictator, Gen Ibrahim Babangida, where he met with his host behind closed doors with only ex-governor Aliyu allowed to be part of the meeting which started at about 12.45pm. Ketso, the Niger State deputy governor, an APC member, left the residence of the former dictator when the meeting between the trio started. The meeting lasted for about three hours before Atiku left for Abuja through the Minna airport declining to speak to newsmen. Meanwhile, it was learnt on Thursday that the former Vice-President was set to formally declare for 2019 presidential election after the PDP national convention.